July 3, 2018. We’re proud to announce our inaugural graduating class from the Vonisha Bridge School. With total of 51 children completing our free one year program and mainstreaming into formal Indian Education System beginning July 2018. 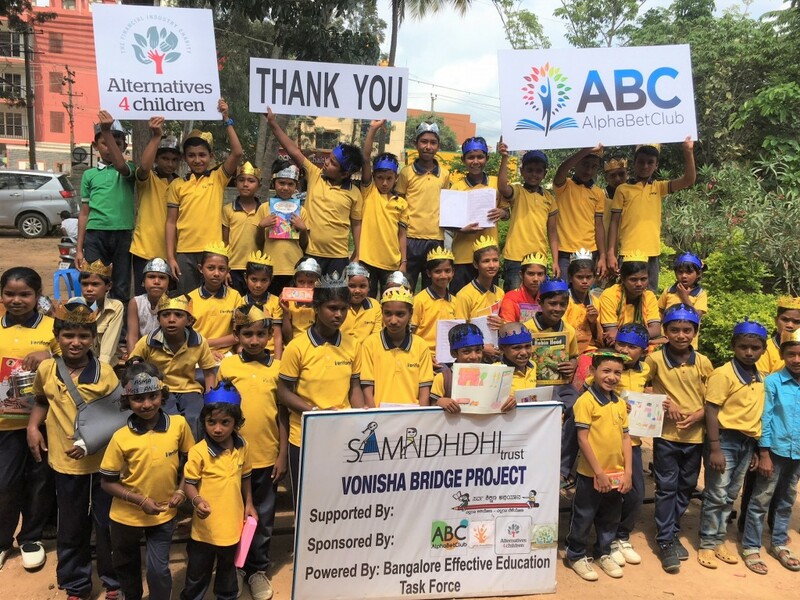 Vonisha Bridge School is ABC’s 7th School Project, a 1 year Transformational Bridge School that provides education and 20,000+ free meals for 120+ Out of School Children living in Bommanahalli and Begur slums in Bangalore. Inauguration Ceremony on July 18th, 2017 was a beautiful celebration with attendees from the Government, families of the students, NGO partners and local friends of AlphaBet Club. On behalf of all the new students and ABC Ambassadors we’d like to thank all ABC supporters for making this project a reality. A special Thank You to our Partners in this project, Samridhdhi, Vonisha, BEETF and Alternatives 4 Children.